Josie and her fellow cult members have gathered in an ice skating rink to mass suicide. But when Josie loses faith in Doug, her charismatic cult leader, she starts questioning their choice to die. Victoria is well known in the Australian industry as an actor in films like The Caterpillar Wish and The Loved Ones and television shows such as Miss Fisher Murder Mysteries, Dr Blake Mysteries, Rush, Rake and Wilfred. The Kingdom of Doug is her directorial debut. It won Best Director at Flickerfest and St Kilda Film Festivals in 2014. 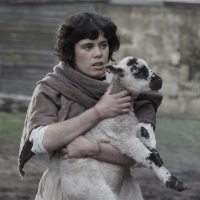 A young convict woman desperate for freedom rashly chooses a new master, but alone on his isolated farm her hopes for a new life are undermined by the grim truths she discovers. Stars Georgia Lucy, James Grim and Jude Kuring and was shot in Southern Tasmania. This film is a Director’s Cut of a film produced with the assistance of Screen Australia and Wide Angle Tasmania through the Raw Nerve Initiative 2012. The script for Little Lamb won Best Script in the Stranger With My Face 10 By 10 Script Challenge in 2012. Heidi Douglas will be present for the post-screening Q&A. Caitlin Koller will be present for the post-screening Q&A. 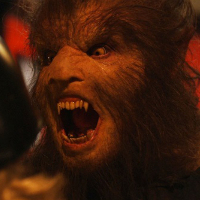 What happens when a gay priest dates a werewolf and the homophobic neighbours come knocking? Mia’Kate Russell will be present for the post-screening Q&A.